://twitter.com/hpfarrell/status/916000035300679680 (the tweet gives you the time to look for) to see how exactly their body language is mirroring – shame the cameraman didn’t go into a closer focus. I hadn’t seen either of those videos so thanks for sharing! The 2009 Australian Open Final was so good for so many reasons, but like you say, I can’t watch their speeches without tissues on hand. 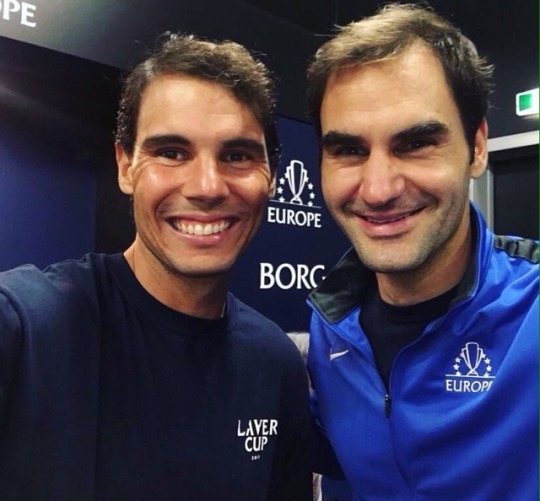 Their rivalry is spectacular but the fact it seems they actually like and respect each other makes it a lot more interesting to me, compared to other sporting rivalries, past and present. 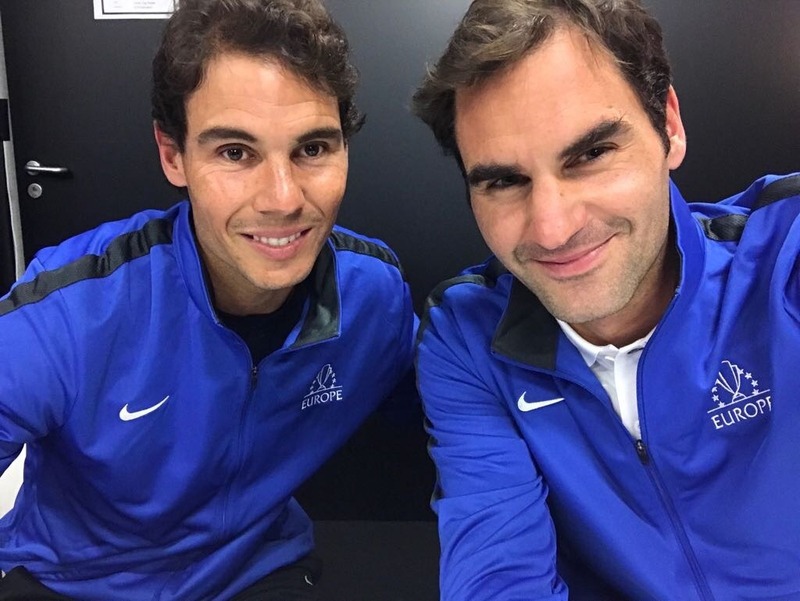 There’s just something special about Rafa and Roger. It’s refreshing to see someone openly say that they love BOTH players. We forget that in a few years neither of these great players may not be playing the game. Therefore we should both enjoy it whilst we have it. I’m an open Federer fanatic, however I value Nadal an incredible amount. I think I got the love of both of them from my mum as she’s never been able to choose between them either. As you say, it’s a pleasure to watch the two of them play and who knows how many years we’ve got left with them at the top of their game.